Canada is a wilderness adventure at your doorstep; your RV doorstep that is! Whether its activities like fishing, camping, hiking, kayaking, or just sight-seeing, Canada is a great place to create an RVing Adventure for you and your family. Checkout the Mountain Biking and Hiking of Nova Scotia, cast your line out into the plentiful lakes and rivers and hook a salmon, trout, or a walleye. Kayak with the Orca Whales in Johnstone Strait, or take a rafting trip on the Nahanni River. There's so much to do you will have to plan more than one RVing vacation this year! For some of the most beautiful scenery in the world, take a trip to Niagara Falls bordering the Canadian province of Ontario and the the state of New York. Don't worry, there is more to do than just stand and stare at the falls while getting a little wet. There are hiking trails, kayaking tours, aquariums, helicopter tours, parks, and even golfing! Visit the Canadian Rockies that straddle British Columbia and the Alberta border. Alberta is a place where you can find horseback riding,ice skating, ice fishing, canoeing, camping, mountain climbing, and so much more. 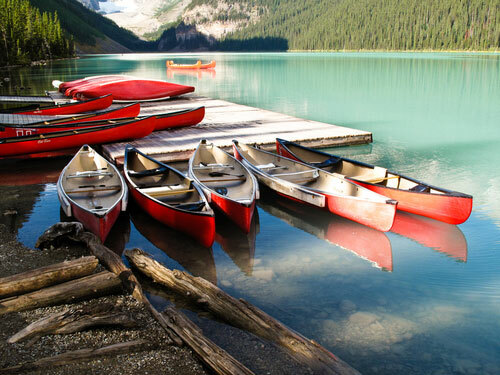 Alberta has an outdoor experience to sate any outdoor adventurer's needs. Nova Scotia is rich with history as well as outdoor adventure. Enjoy the beach with a visit to the Cabot Trail for whale watching, fishing, and insight into the Acadian French culture, as well as an Acadian Historical Museum. You can always visit the Bay of Fundy and see worlds highest tides. There you can see dolphins, seabirds, seals, and up to eight species of whale. It is breathtaking with its framing of rock cliffs, sandstone, mud flats, and marshes. Whatever adventure you and your family may seek, Canada has a destination. Come explore the culture, scenery, and outdoor activities offered by the greatest provinces and towns of Canada. Bear River RV Park - The Park consist of 68 full service sites, dry camping sites, laundry facilities, free wifi, cable television and storage areas. Located along Bear River in Stewart, BC it is surrounded by ice capped mountains, glaciers and wildlife. It is close to downtown Stewart being only one mile away and borders Hyder, Alaska three miles away. Located at the head waters of the Portland Canal. Explore this off shoot of the historic Klondike gold rush that once boasted a population of 12,000. 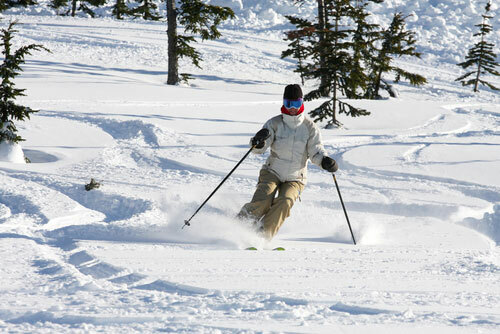 You are wrapped in the finest scenery on the North American Continent. Glacier capped mountains 7000 feet, hiking trails give you access to even the most remote areas. Forests of the gian Sitka Spruce and the ocean is right at your feet. There is simple opportunity to view wildlife, bears and eagles feeding on salmon. Good fishing is also available so come and visit and stay awhile. You'll find everyone friendly and willing to make your visit very memorable. Cove Oceanfront Campground in Parker's Cove, Nova Scotia - Park your RV on the waterfront and watch the sun set into the Bay of Fundy in front of you. Quiet and spotlessly clean campground provides a heated pool, modern washrooms and laundry facilities, and a children's playground. Enjoy the outdoor heated pool, Wi-Fi at your site, and the opportunity to buy fresh lobsters or scallops at the seafood market across the street. The friendly and professional staff can help you make the most of this central location for touring the Fundy Coast area of Nova Scotia. Mama Yeh RV Park - Mama Yeh RV Park is a located on 145 acres of forested land. With 24 huge sites available you won't have any difficulty parking your RV. Stay connected with Wireless High Speed Internet and enjoyt he quiet and peace of camping in the outdoors. This RV Park offers excellent privacy for your family and friends. Hot Springs Campground - We are located 25 minutes from downtown Whitehorse and from the Whitehorse International Airport. Hotsprings Campground offers you wooded electrical RV and tenting sites in a quiet forest setting. The hot pools are just a short walking distance from the campground. Our amenities include: Central water hose, Central sani-dump, Fire pits, Firewood $6 per bin, Picnic tables, BBQ rental $30 (includes propane), Trail - ask attendant for trail head/map. Frasure Cove Campground - Fraser Cove Campground and Guest Cottage is located located just off Hwy 99 in Lillooet BC. We are right beside the historic suspension bridge, built in 1913, which is now open to pedestrians & cyclists. The mountain & river scenery are spectacular! We are a small, private, quiet campground on a unique river-front setting, with 20 full hook-up sites & tenting on the beach. Kinnikinnick Campground and RV Park - Kinnikinnick Campground services Prince Rupert, and Port Edward, Britiish Comlumbia Canada. Located between the ocean and the mountains they offer beautiful private sites, with several amenities such as laugndry, cable TV, internet, firewood, and so much more. Every morning you'll wake up to the beauty of eagles soaring above you and deer grazing about the campground. Take one step closer to nature and come see us today. Pinegrove Campground - Pinegrove Campground and RV Park, 40 Km North of Kamloops V.C. Come camping in the beautiful outdoors of B.C. Full service camping under tall Douglas Fir trees. Hidden Hilltop Family Campground - A family campground located in Glenholme, Nova Scotia. Centrally located allowing RVers to take advantage of our mid week special and explore our beautiful province. Daily and weekly activities to keep both kids and parents entertained, or just relax by our 30x60 inground salt water pool. "the place where kids want to take their parents". Sunrise Tourist Trailer Park - Come visit the 23 miles of Rice Lake and it's plentiful waters filled with pinfish, blue gill, rock fish, crappie, catfish and so much more. We have a floating dock system, launch ramp, fish cleaning facilities, and freezers to hold your catch. Come visit us and have a grand fishing adventure with your family and friends and behold the beauty of Rice Lake at the Sunrise Tourist Trailer Park. Upper Canada Campground - Upper Canada Campground is located in south eastern Ontario. We are a family oriented campground. Lots of activities for children. Located close to St. Lawrence River, and 5 min. from the famous Upper Canada Village.